So who’s the most important Varun ? The purpose of me moving to this domain name was to become the most important Varun on google and other SEs . Posted on September 30, 2006 Categories UncategorizedLeave a comment on So who’s the most important Varun ? I had the need to store user form data in a array and then put the array into and arraylist . Now I put the array list into the session and accessed the session object in another page to display the entire contents of the array list. I had to typecast the session data and get them into an array list. Now I had code file, filename.aspx.cs which had the class definition, methods ,constructors and the getters,setters. Will post the code soon. Is ASP.Net better than PHP ? PHP’s OO is not the best even if PHP5 has pretty good OO support. Found these interesting reads in this regard. Posted on September 25, 2006 October 6, 2006 Categories Uncategorized3 Comments on Is ASP.Net better than PHP ? Was figuring out ways of improving the site. And I had not added some highly accessed columns in a table as Indexes. So i checked out what diff a query was going to make with and without an Index. Now how indexing helped me reduce the queryÂ time to 0.0009 seconds. nearly 400% ofÂ time savedÂ just by adding an Index. 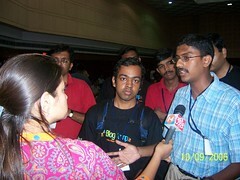 Sudhir Syal covered the blogcamp.in for Madras Plus. Really great to catch up with a friend from School. Headlines Today was also there during blogcamp. I spoke on what blogcamp was all about. I am spotted in the video a few times . The article talks about using Dojo and JSON for AJAX applications. Now i need to build a WAR ( Web Archive ) for deployment on my container – Tomcat. I am planning to Digital Camera as I currently dont have one. My budget is around 15k Max. 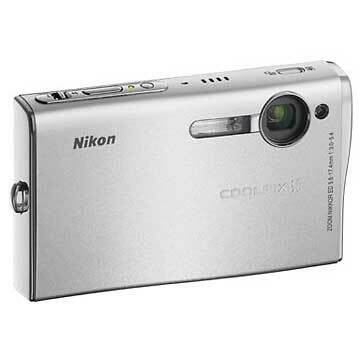 The Nikon Coolpix attracts me because of the Wi-fi feature. I can easily transfer pics from the cam to my laptop.